The day after Thanksgiving the three of us headed out of town on a road trip! 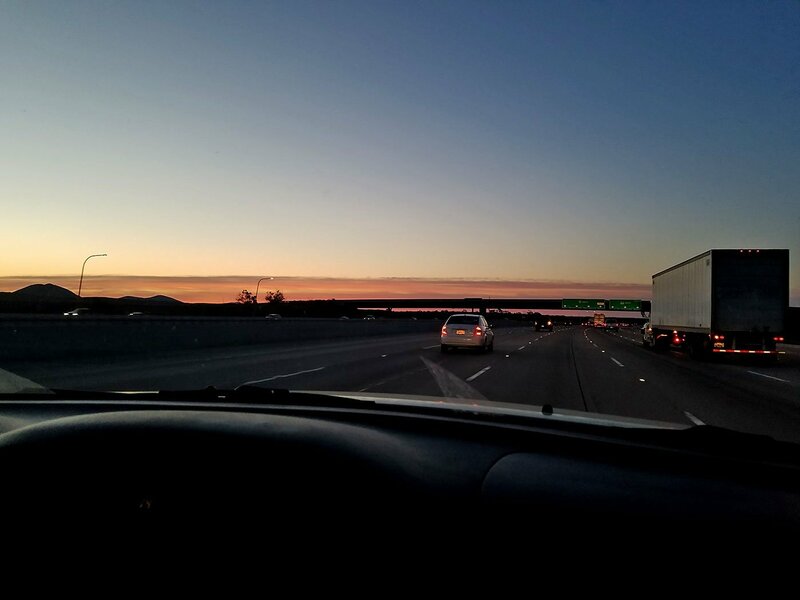 We were up and on the road before the sun was fully awakened. 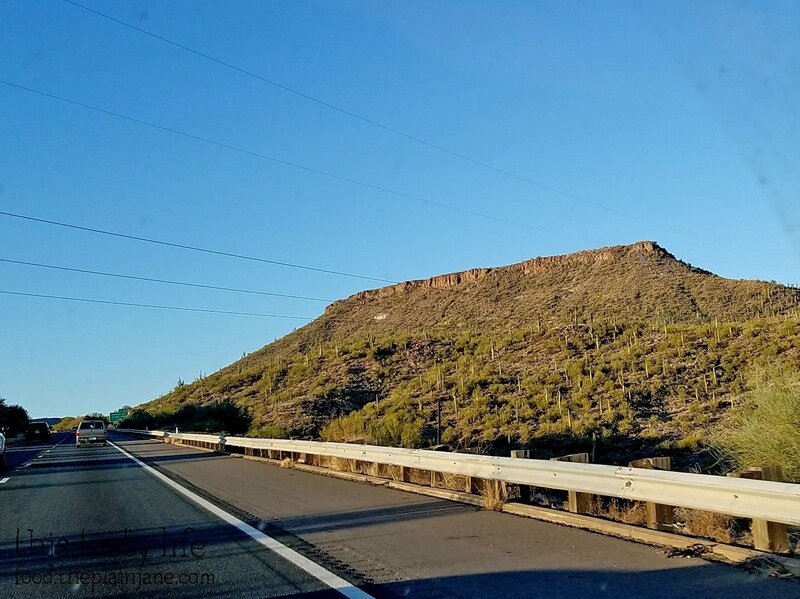 Our final destination was Flagstaff, AZ so we could visit the Grand Canyon for the first time. We broke the trip up into segments and our first segment brought us to Yuma, AZ. It was about 8AM when we arrived in Yuma at The Chile Pepper. 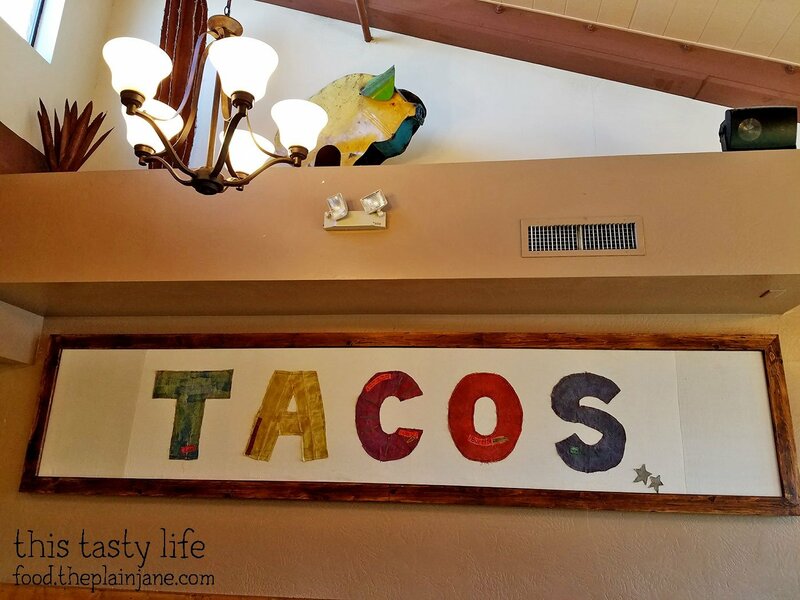 Why yes… we are going to have tacos for breakfast! The menu is pretty simple. 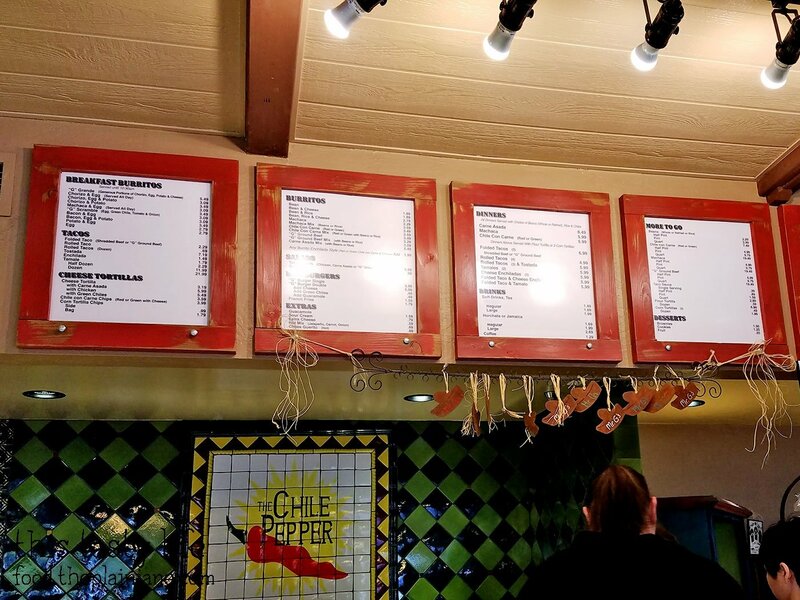 You can get a better look at their menu on the Chile Pepper website. Jake and I got a little confused since under the taco menu it says “folded taco”. Um, aren’t all tacos folded? Jake asked the girl behind the counter about it and she was a little gruff in her response but whatever. It’s just a regular taco. 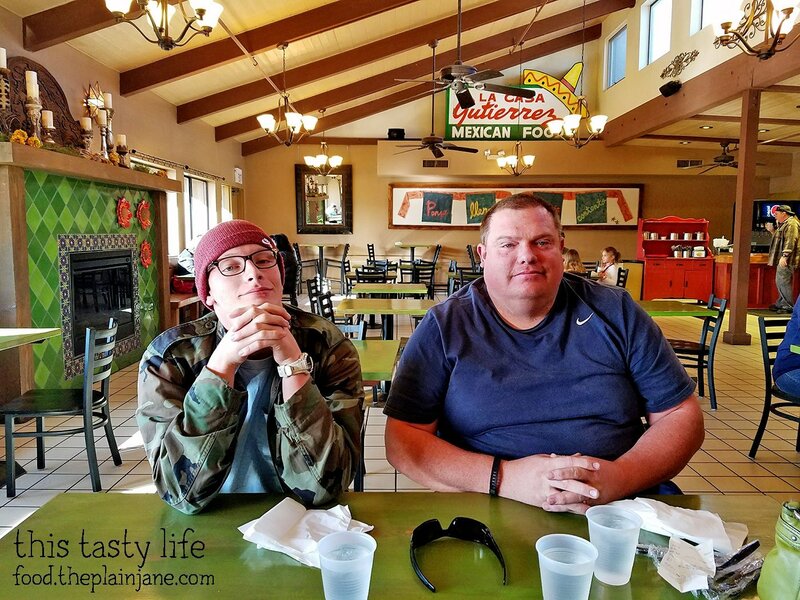 T and Jake are ready for tacos! Here’s our full order for the three of us. Jake ordered the Folded Taco Dinner [$6.99] which came with three tacos with either shredded beef or ground beef, beans, rice, and chips (which were in a separate bag, not shown). We decided to get the shredded beef. I peeked at the meat inside – it almost looks like a thin fried beef patty. 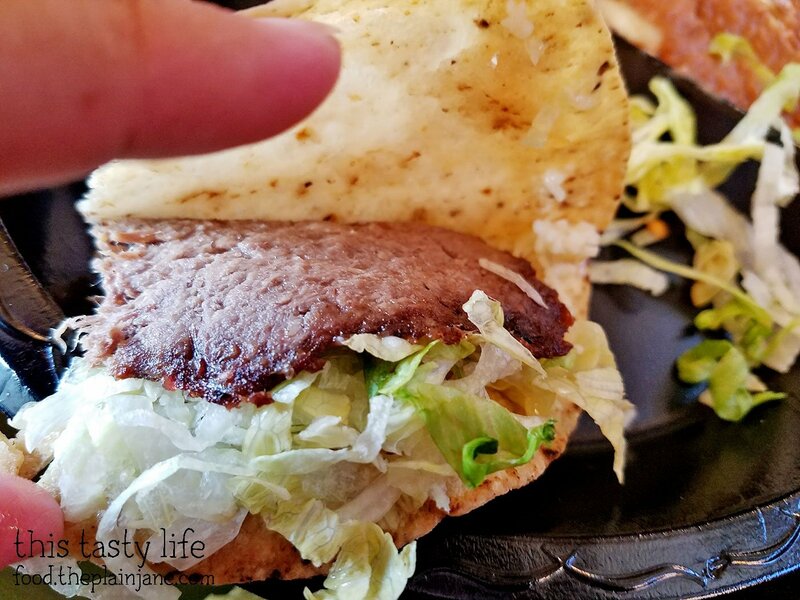 The taco shell was excellent – it was crispy and delicious! The beef was really juicy and there was a good balance of toppings. I really liked these folded tacos! The reason I picked this place was because I stumbled upon an article on Thrillist about the 33 Best Burritos in America. 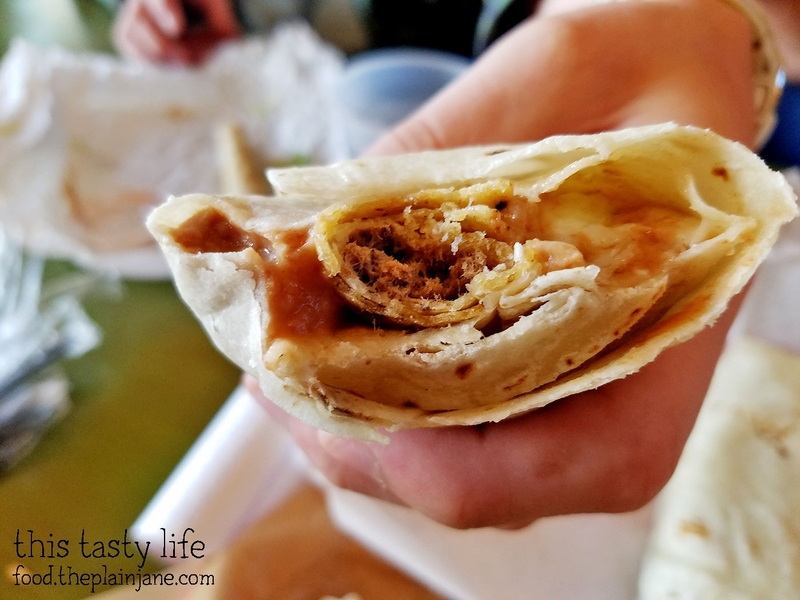 The bean and cheese burrito at the Chile Pepper in Yuma, AZ was on the list! Say what?! I figured we had to try it. On the plus side, the Bean and Cheese Burrito is only $1.89! What a deal! 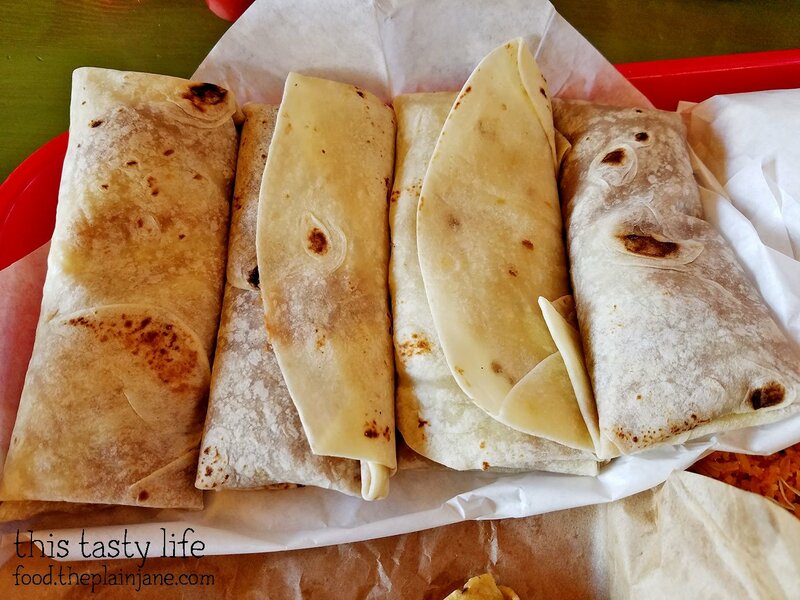 These burritos are a little bit on the small side from what we’re used to in San Diego. Even though it was smaller, I still only ate about 2/3 of it. I got full on tacos! The burritos are simple little gems. The refried beans instead are super creamy and I actually enjoyed them. The cheese is melted in and makes it extra tasty. When you take a bite of the burrito though, the filling tends to ooze out making it a messy meal. Jake really loved the beans here, he thought they were very “old school” (made in the old, proper way) and tasted great. Another thing to note is the tortilla! 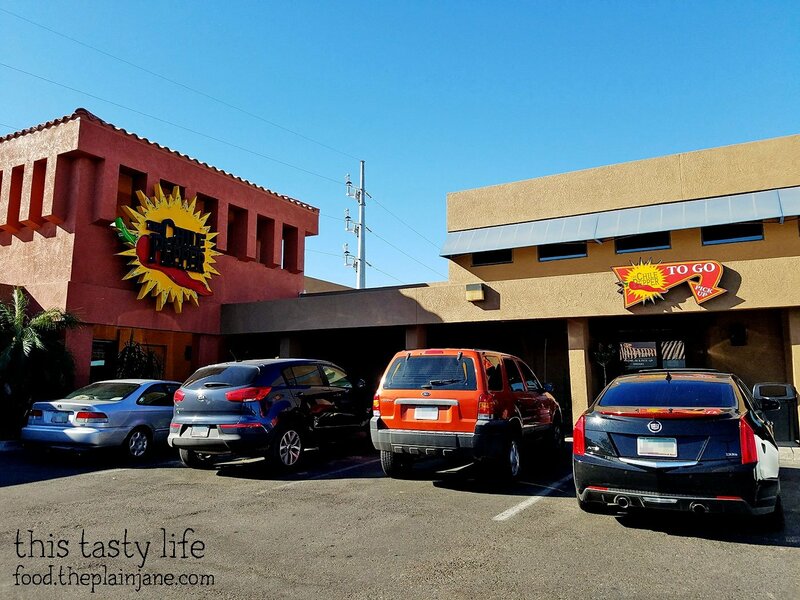 The Chile Pepper has their own facilities to make handmade tortillas fresh every day for the sit down restaurant (this one) and their drive-thru location called Mr. G’s. 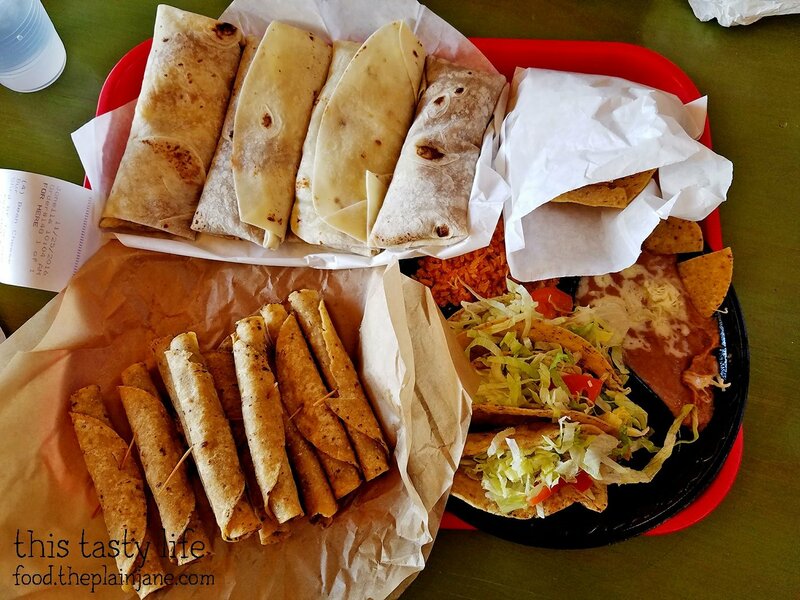 The tortillas taste very fresh and have a good tender chew on them. Yum! I was excited to try the Rolled Tacos [$0.69 each or $7.19 for a dozen]. 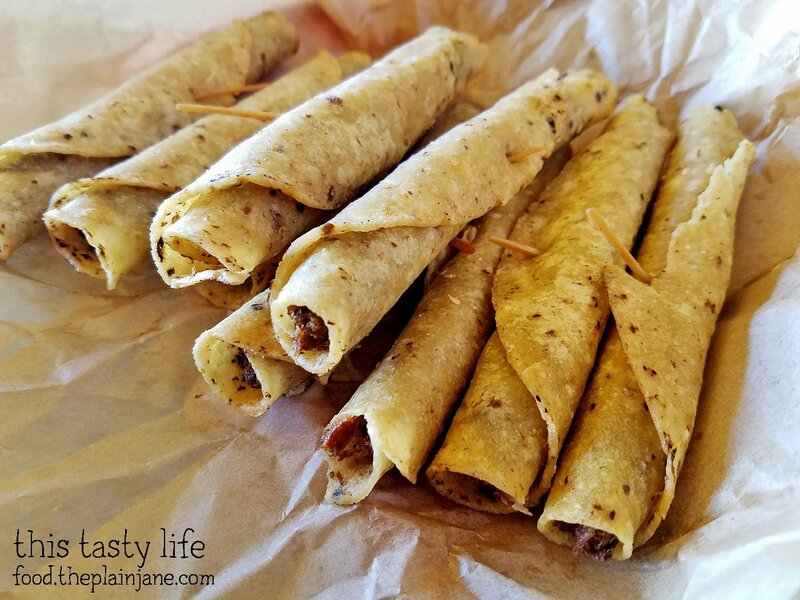 The rolled tacos are clearly handmade, with the toothpicks still sticking out of each one. The shredded beef inside the tacos goes end to end and there didn’t seem to be any gaps in the filling! The tacos were super crunchy and I also loved the filling. They were so simple and also so delicious! The handmade tortillas are in play here and I think that really gives them extra flavor. T got an idea to put a rolled taco inside his bean and cheese burrito, copying the “2 in 1” burrito from Lolitas. Get a little crunch in that burrito! 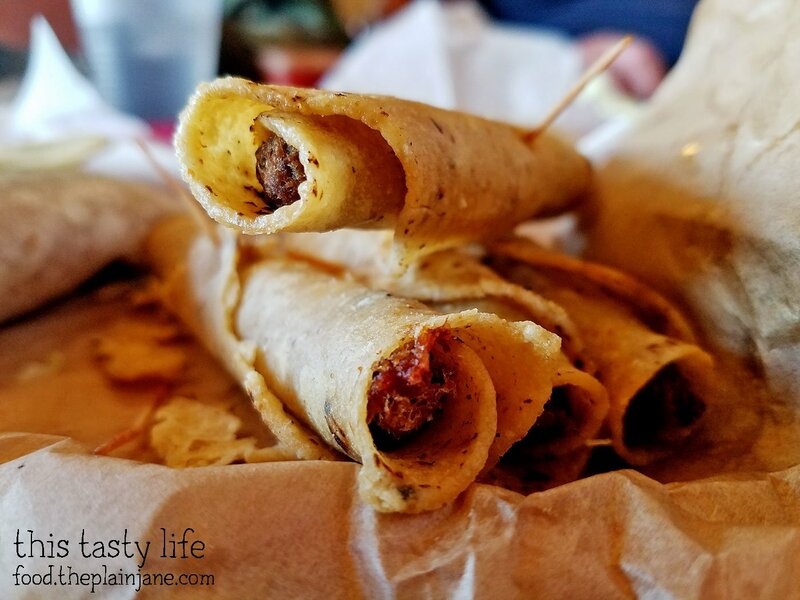 The rolled tacos are served plain – but you do get a few salsas on the side for dipping. 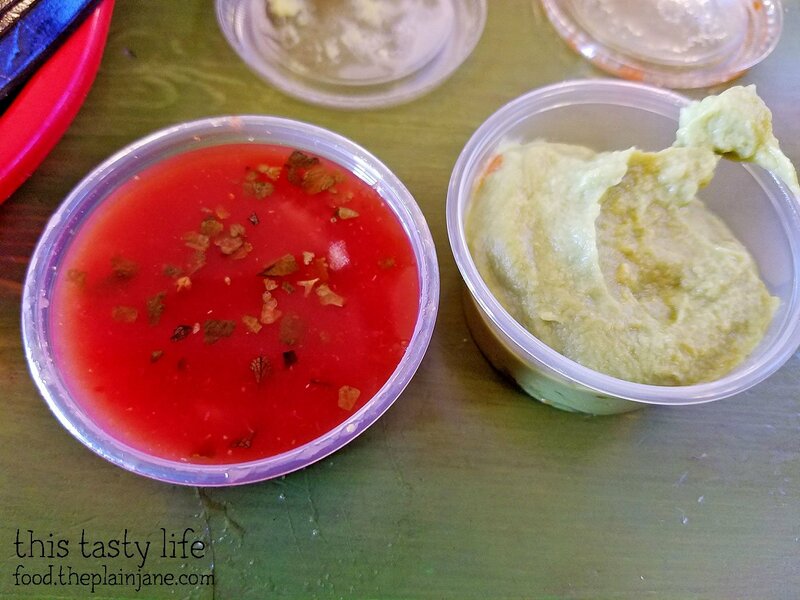 The salsa was incredibly flavorful! I was kind of surprised how flavorful it was since it doesn’t look like much. It’s not spicy and it might seem like it’s watery but the flavor is HIGH on this little cup of sauce. I chuckled going back to read the reviews about this place on Yelp where people complained about the “red water juice” and proclaimed it to not be salsa. I wonder if they even tried it? I got a side of Guacamole [$1.59] to go with my rolled tacos but honestly, the salsa is so flavorful on it’s own it hardly needs it. But it’s an affordable addition to the meal if you really want some. 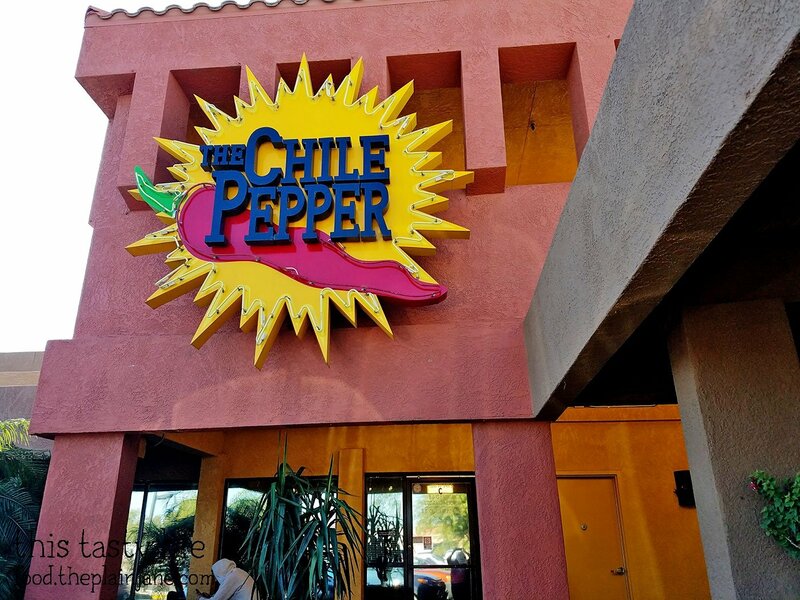 The Chile Pepper will definitely be a return visit for us if we are ever in the area again! The food was simple, delicious, and really cheap! After leaving the Chile Pepper we stopped for gas and I saw this sign at Golden Corral. 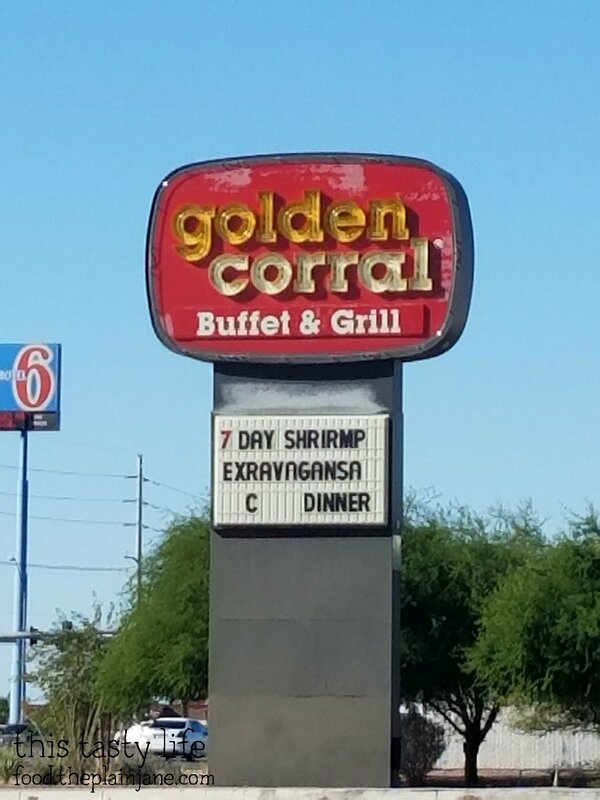 Uhh, what are they serving here?! We made another stop in Phoenix before our final destination in Flagstaff, AZ. Stay tuned for more posts about our trip! Yay, I love reading about your roadtrips. That was a pretty funny sign. Shririmp! Wow, $1.89 for the bean and cheese burrito? Not bad. Handmade tortillas really do make a big difference. Thanks, CC! It’s always fun to go on a road trip. The bean and cheese burrito was so cheap!! Handmade does make a huge noticeable difference – it tastes so much better! 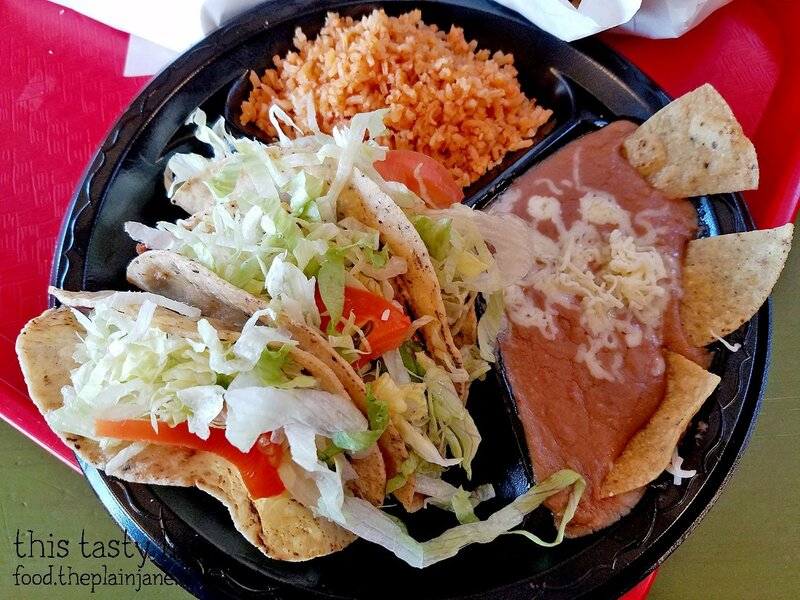 We ate at Chile Peppers on 3/18/2019 and this is our last visit for us…we ordered rice, beans and eggs in one plate. The idiot cash registrar told us they had no plates. I ordered one big burrito. The total was over $16,00. What a disgusting way to serve rice and beans jammed together in a cup; and the eggs also served in another cup. My wife almost had a heart attack…How embarrasing and disgusting was to eat from cups….